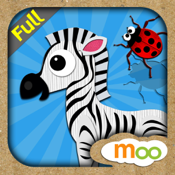 *Multilingual educational app for preschooler, toddler, and baby to learn new animal names and sounds! 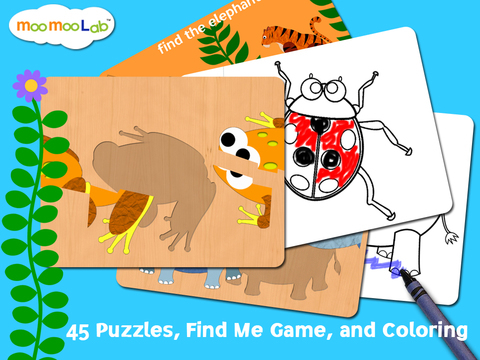 *Interactive 3 peekaboo games, animal puzzles, find and seek game, and coloring activity all in one. Choose among four languages: English, Spanish, French, Japanese, and Chinese (Mandarin). Available for all the peekaboo sets and games. 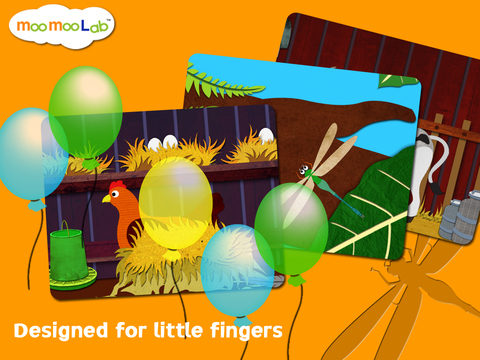 Perfect for bilingual or multilingual kids, it’s also great for learning one language. It’s a fun way to expose your child to languages at an early age! See these animals in different colors! As an added bonus, your child can learn color names in any of the languages selected. Don’t forget to save image of the drawing and email to family and friends through the Album Folder! Each animal comes with four levels of difficulty. 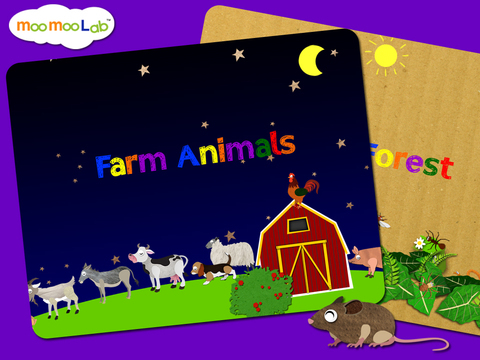 Our Moo Moo Steps™ helps children find the level they enjoy and progresses when they are ready. Begin with one-piece puzzle for toddlers; when they refine their motor skills, they can move on to more challenging puzzles. There is no email button, ads or internet links easily accessible to children. All these features are tucked away in the Parents Folders. 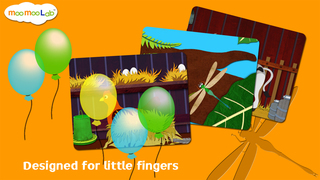 Album folder: you can see your child’s saved drawings and select the ones you like to email to family and friends. Achievement folder: You can see how your child did in the Find game and know if there is any word he or she is having trouble with.